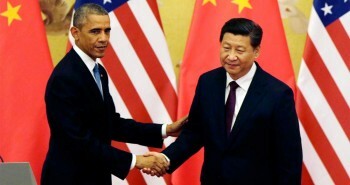 On September 24 later this month, China's President Xi Jinping will arrive in Washington to meet President Obama for an important state visit. The context is a growing alarm about China's less than peaceful rise, and provides a rare opportunity for the president to give an important message on Tibet. 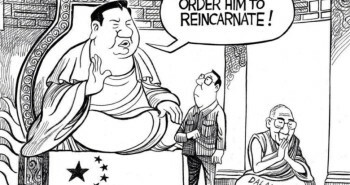 It has been noted in Washington that President Xi's self-proclaimed "China Dream" -- a vision of a peaceful and rising China on the world stage -- has become a Kafka-esque nightmare for many. Imagine a country which is openly denying ethnic minorities the right to check into hotels, and to receive passports. Imagine a country where a rights lawyer from the majority ethnicity calls these kinds of policies 'ridiculous.' And finally, imagine a country where the criminal charge of 'inciting ethnic hatred' that soon follows is brought against the lawyer for opposing these policies, and not against the government agencies responsible for instituting them. ICT has translated into English the first major speech in Beijing by Gyaltsen Norbu, known as the ‘Chinese Panchen (Gya Panchen)’ because he was selected by the CCP after the boy recognized by the Dalai Lama and acknowledged by Tibetans as the authentic incarnation, Gendun Choekyi Nyima, was ‘disappeared’ in 1995. There is no indication of his whereabouts or welfare 20 years later. Last week, we heard once again Chinese Communist Party’s officials reiterating their concept of religious freedom in Tibet. 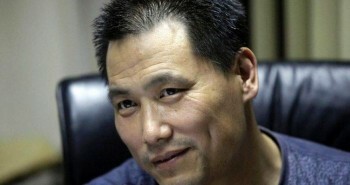 Chen Quanguo, the Tibet Autonomous Region’s Party chief, wrote in the People’s Daily newspaper that monks and nuns should be evaluated for their "patriotism," a word they use to describe their allegiance to the Communist Party. 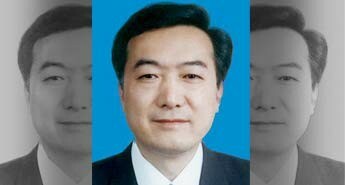 In China's one-party system the Party is institutionally more important than the State. 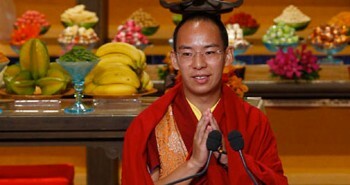 On July 21, 2014, history of sort was created when around 100 Tibetan Americans from Amherst, Boston and nearby areas joined US Congressman James McGovern at the City Hall of Northampton, MA, as he held a press conference on his introduction of HR 4851: The Reciprocal Access to Tibet Act, in the House of Representatives. 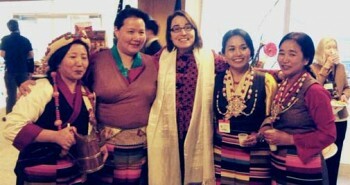 This was a public acknowledgement of the existence of the Tibetan American community and their being a stakeholder on issues relating to Tibet in the United States Congress. 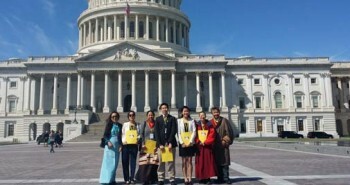 This year’s Tibet Lobby Day in Washington DC will take place on Monday, March 2 and Tuesday, March 3. 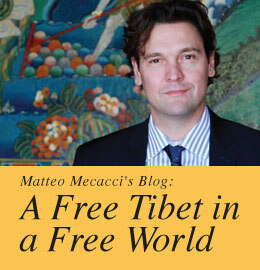 All supporters and friends of Tibet are invited to join the event - the sign up deadline is February 25, 2015. This annual event, which began 7 years ago, brings together over a hundred Tibetan-Americans and friends of Tibet to Washington DC. ICT will host a lobby training session on March 1, and with information and folders in hand, participants will be able to visit offices of their Representatives and Senators in the US Capital. Today is the first day of the Tibetan New Year, Losar. This new year, 2142, is the Wood Sheep Year in the Tibetan lunar calendar. 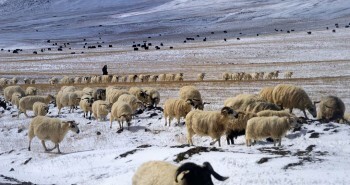 The photo below caused me to reflect on sheep and their significance to Tibetan nomadic people. Because Tibetans think of sheep as “the white haired treasure” the year of the Wood Sheep is considered especially auspicious. Last week, I had the privilege to have an audience with His Holiness the Dalai Lama in Washington DC with my colleagues Bhuchung and Tencho from the International Campaign for Tibet.Meeting His Holiness on behalf of the 100,000 worldwide members of ICT was a special honor. In advance of our meeting, it was with a great sense of responsibility, that we discussed in detail the issues we should bring to his attention. 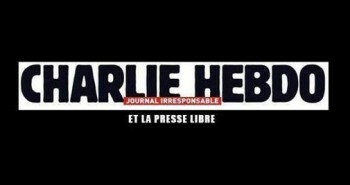 The terrorist attack of last week in Paris against the satirical magazine Charlie Hebdo is sparking a debate that goes beyond reflecting on the killings of innocent people for political or religious reasons. Unfortunately, the killings of innocent people as a result of different extremist ideologies happen every day and in huge numbers in many parts of the world. Sometimes, the violence comes from individuals, sometimes it comes from organized armed groups, and sometimes it comes directly from authoritarian governments.